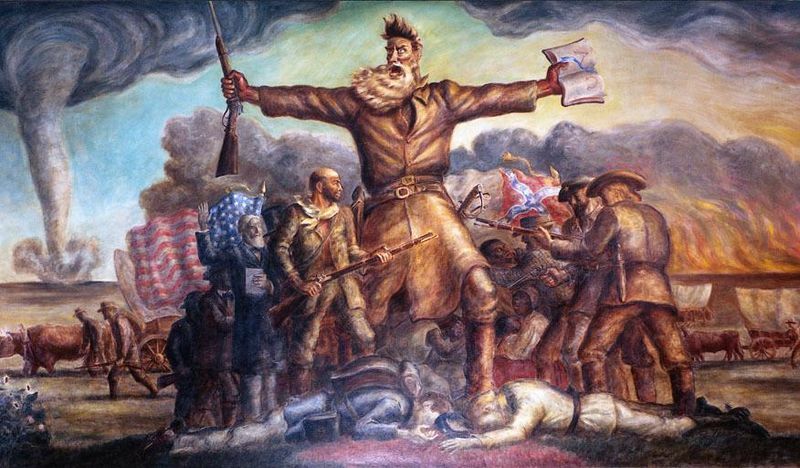 When John Brown was just a boy, aged 12 years old, he drove a herd of cattle by himself from Ohio to Michigan. During this impressive expedition, Brown was forced to lodge in the countryside, and although he was treated well by his host, the owner of the house was actually a slave owner that ended up beating a black boy he “owned” with an iron shovel right before Brown’s eyes. This experience had a profound influence on John for obvious reasons. He decided to move to Massachusetts, which was home to a growing population of anti slavery activists, from all walks of life. While he was there, Brown became deeply involved in transforming the city into a central hub for the fight against slavery, and was a key figurein the maintenance of the famous Underground Railroad — which was a secret transportation route to help free slaves. Although my admiration for Brown should be quite easy to perceive, I do not advocate the use of violence to challenge government corruption. They have a monopoly on war, death, and destruction, and trying to impose on them in this arena today would be counter productive and stupid. 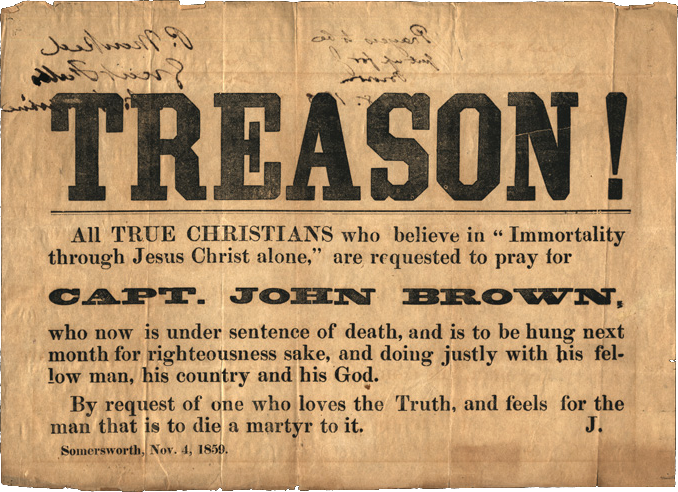 John Brown lived in a very different time that we do, when government was not nearly as powerful as it is today. His struggle was largely about creating awareness, which was a radical course of action we fortunately do not have to take today. You see, John Brown did not have access to a powerful tool like the internet, which has threatened the ruling class’s power structure more than anything in known history. Ultimately, change is preceded by public awareness, and there is no tool more effective in promoting awareness about elitist corruption, and human suffering, greater than social media and the world wide web. It should also be said that this article is not a whitewash. Innocent people were murdered during Brown’s crusade against slavery, albeit unintentionally. But an innocent life is still an innocent life, and no excuse should be made to defend such a crime. I would also like to make it clear that this is not a pro-Christian piece. Moral character precedes religion, just as immorality does too. People ultimately interpret their religion according to their own perceptions and way of thinking; Someone that values peace, will interpret their religion peacefully, and someone who comes from a radical background, will interpret their religion radically. 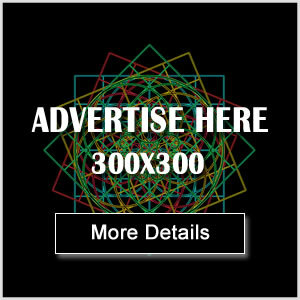 In other words, had Brown been a Muslim, Buddhist, Atheist, or anything in between — considering the path of his life — it is almost certain the outcome would remain unchanged. This anthropological factor is something many people fail to comprehend in relation to the religious debate. This though, is a complex topic for another day. 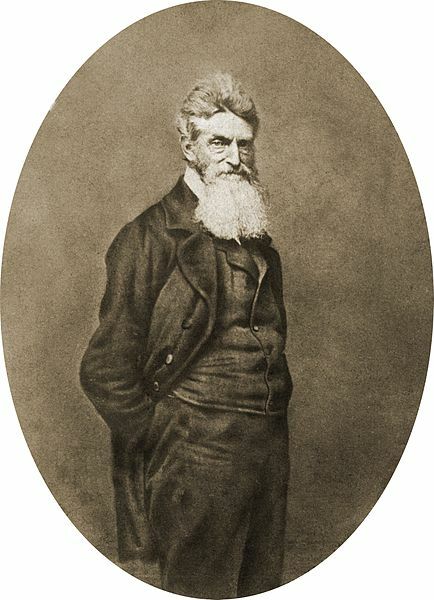 The positive that John Brown does represent, is that there have always been people in history, who are willing to stand up for human rights without any regard for childish notions of tribalism or race. 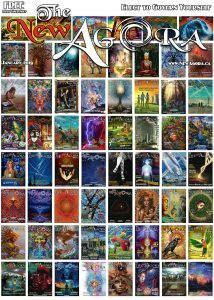 His story serves as a reminder that people were not much different to us back then; in that most of us are scared to challenge the system, including those who are the most exploited and enslaved by it, because of fear of government reprisal and public opinion — which has always been nothing more than a reflection of convoluted establishment propaganda. 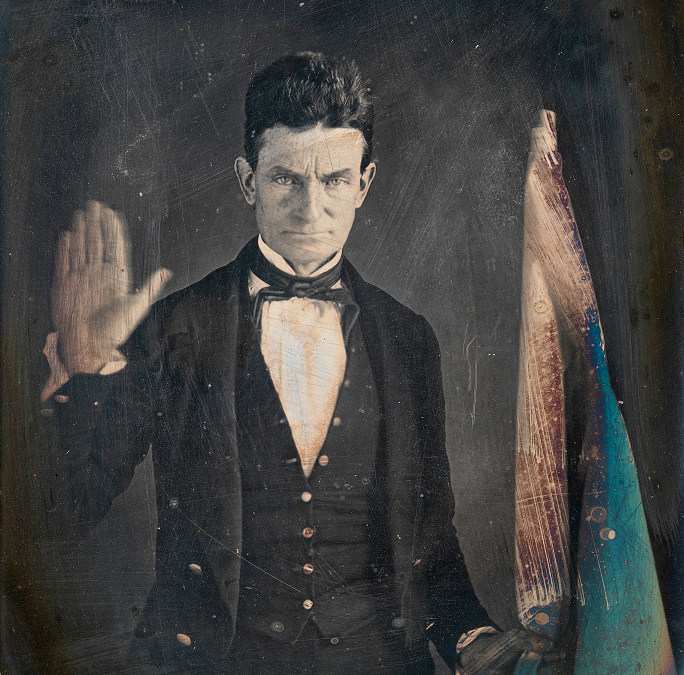 John Brown struggled to adapt to the system that we plainly call society. He hated being surrounded by the inhumane institution of slavery, was constantly in debt to the authorities, had run ins with “the law,” and experienced numerous hardships in life. Finally, after decades of trying to fit into this mad society, he realized his true purpose was not to assimilate, but to find a way to change it. And although his course of action was undoubtedly extreme — and not recommended — there is a powerful lesson we can all learn from his chosen path — we are not here to conform to this backwards world, we are here to try and help create a new one; and we are not here to bow before injustice, we are here to confront it and stand against it.